There have always been those who said, “It can’t be done.” But as we see, even experts can be wrong. The real tragedy, however, is not that they were wrong, but that 99 percent of the people who heard them, believed them. How thankful we should be for that one percent who heard these predictions of the impossible, but tried it anyway. They tried the impossible and succeeded. That is why we have airplanes and space travel, and modern medicine, and cars and motorcycles, electricity and a thousand other inventions. In Christianity, there are always those who are quick to point out the impossibilities as well. There are always those who want to say, “It can’t be done. It’s impossible.” But a few will always believe, and it is they who are dreamers and vision casters and it is they who attempt great things for God. It is through them that God accomplishes great things. Paul was one of these men. When all around him were saying the Gentiles could not be reached – even should not be reached, he set out to bring to the world the good news of salvation. Paul accomplished the impossible. How did he do it? As we continue to work our way through the Book of Ephesians, Paul gives us the remedy for negative thinking, he gives us a recipe for accomplishing the impossible. Seeing what Paul prays for is instructive. Sometimes we get bored with prayer. We know we’re supposed to pray, but we often wonder why. It doesn’t seem to do anything. It sometimes doesn’t seem like God hears or answers our prayers. Frequently we don’t know how to pray, or what to pray for, and so if we even pray, we end up praying the same old thing time after time. 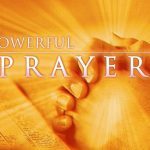 If we even keep up with prayer, it becomes more of a habit that we do mindlessly than the powerful force in our lives that it is supposed to be. So Paul prays for them here at the end of chapter 3. He says, “I know it’s impossible for you. So my first prayer request is that God will give you power to do what I’m asking you to do.” That’s the first prayer request. The request we saw previously in Ephesians 3:16-17. 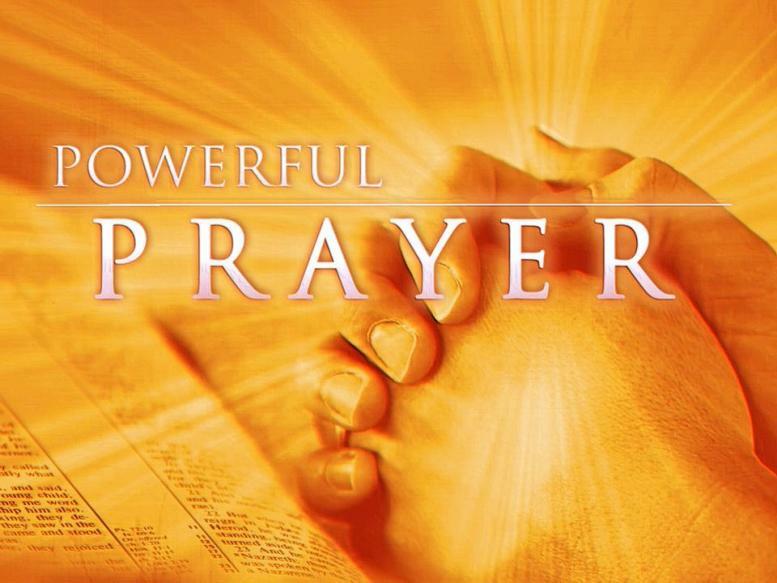 Prayer for power to do the impossible. Prayer for power to be at peace with those people you’d rather hate. A prayer request to do what you cannot do. That was the first prayer request. The second prayer request in Ephesians 3:18-19 is a prayer for knowledge. This prayer of Paul is not a “ho-hum” prayer! In Ephesians 3:16-17, Paul prayed that we would do what we cannot do, in Ephesians 3:18-19 he prays that we will know what we cannot know! He prays that you will be able…to know the love of Christ which passes knowledge. In other words, to know what cannot be known. To know what is…impossible to know! Imagine a third grade teacher coming to her class on Monday, and giving them a test on their calculus skills…or quantum physics! That would be absurd, because third graders cannot understand calculus! Imagine if I handed out sheets of paper to all of you, and asked you to outline the major events in history for the next ten years. What is going to happen in 2003…2004? Who is going to be the next president? Who is going to win the next ten Super Bowls? What is going to happen in the Middle East? When will we find Osama bin Laden? If I did that to you, you would call me crazy, because these are things which cannot be known! But that is kind of what Paul is praying for here! He is praying that we would know the love of Christ, which passes knowledge – which cannot be known. He somewhat describes this love back in verse 18. He says that you may be able to comprehend – that means know – what is the width – that’s how wide it is – the length – that’s how long it is – the depth – that’s how deep it goes – and the height – that’s how high it rises. By using these terms, Paul is saying that the love of Christ is eternal, it’s infinite. It’s without beginning or end. It cannot be measured or contained. When Paul says width, he means it is wider than the universe. When he says length, he means it is farther than the east is from the west. The depth of Christ’s love – it’s deeper than the ocean. The height of God’s love is higher than God’s Word is above man’s word. The vastness of God’s love is so difficult to explain – I think that’s why Paul cuts off what he was saying and says in verse 19 that this love cannot be known. How are you supposed to know what is infinite? Yet Paul prays that we would know it anyway. Paul has now prayed for two impossible things. Power to do what we cannot do and knowledge to know what we cannot know. We’re seeing a pattern, and the third request upholds this pattern. Ephesians 3:19b. …that you may be filled with all the fullness of God. How big is God? If you know some theology, you know that God is omnipresent. If we break this word down into two words. No matter where you are in the universe, God is there. He is everywhere. In fact, even when you get to the edge of the universe – where time and matter cease to exist, God does not stop there. He keeps going. That’s how big God is. How great is God? How powerful is He? Again, in theological terms, He is omnipotent. He has all power. With a mere thought, He could obliterate the universe. With another mere thought, He could recreate it. He can do whatever He wants, wherever He wants, whenever He wants, however He wants. (Thank goodness he’s a loving and merciful God – this kind of power would be terrible in the hands of a tyrant). So with God’s omnipresence and omnipotence in mind, think of what Paul is praying for here in v. 19! He prays that you, as a teeny, tiny speck of flesh and bones, with life that is but a breath, made from dust, dying, decaying, sinful, insignificant piece of the vast universe, that you may be filled with all the fullness of God! The word fullness is the word pleroma, and it means fullness! When used of God, it means all of His divine attributes and perfection. Every bit of Him. It is the term used of Christ in Colossians 2:9. Christ was completely God, right? Colossians 2:9 says that in Christ dwelt the fullness of God in bodily form! Fullness means fullness. Paul prays here for us to be filled with all the fullness of God. Try taking something bigger than the universe, something so big it is infinite, something so big it cannot be measured, and stuffing it into a space five or six feet tall, eighteen inches wide, and about a foot deep. Some of us have slightly different dimensions, but that’s not the point. How is something infinite supposed to fit into us? It’s impossible! O Lord, God of Israel, there is no God like you in heaven above or on earth below – you who keep your covenant of love with your servants who continue wholeheartedly in your way. You have kept your promise to your servant David my father, with your mouth you have promised and with your hand you have fulfilled it – as it is today – but will God really dwell on earth? The heavens, even the highest heavens, cannot contain you. How much less this temple I have built! Solomon, the wisest man who has ever lived saw the truth that God could not be contained in any sort of building or structure. Yet somehow, God was. And that is what Paul prays here. That we may be filled with all the fullness of God. That is Paul’s third prayer request. An impossible request. We have seen three requests. All of them impossible. He prayed that we would do what we cannot do, that we would know what we cannot know, and that we would be filled with what we cannot be filled. Those are the three things Paul prays for. Have you ever thought of praying for the impossible? 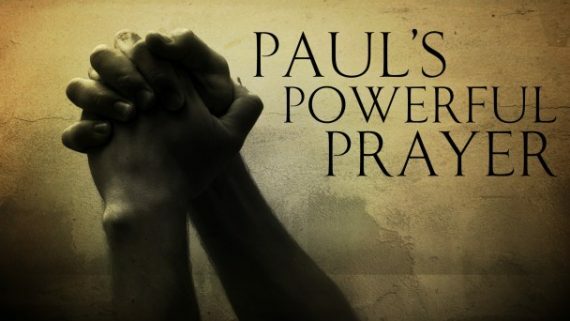 How does your prayer life compare to Paul’s? Paul prays for the impossible here. What do you pray for? We’re not done with this passage yet, but you know what I want you to do this week? Listen to your prayers. I think sometimes we get into a prayer rut where we pray the same old mundane things over and over and over. We ask God to give us good days, and to grant us safety while we’re driving, and to bless the food to our bodies, to protect us as we sleep, to keep us healthy, and so on. Don’t get me wrong. These are good things to pray for, and in some cases, maybe even these requests are impossible prayers…But I think that most of us get bored with prayer…because we are scared. 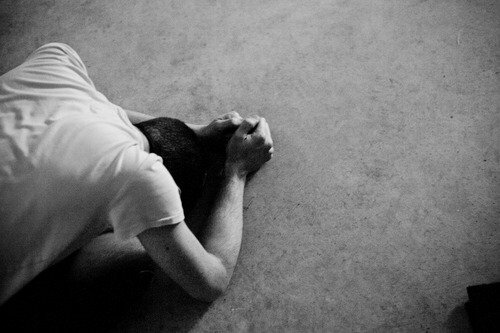 We are scared to pray the way Paul prayed. We are scared to ask for the impossible. Can you imagine what would happen if you prayed that God would save that neighbor you just can’t stand? That co-worker who intentionally blasphemes God when you’re around, and tries to make your life miserable? How incredible would be if God saved that soul? The Christian life is scary. God asks us to do a lot of things we’d rather not do, and in many cases cannot do. Evangelism is one of those. We are told to give of our time and money as well. Not one or the other…both time and money. Impossible, you say. You don’t have any extra time, and you definitely don’t have any extra money. Why don’t you pray about it? For some people it’s impossible to love their enemies and pray for those who persecute them. For others, it’s impossible to read and understand God’s Word. For many, it’s impossible to not judge or be critical of others. Impossible prayers are going to be different for every person. What seems impossible for you, might be the easiest thing in the world for someone else. They have a different impossibility, which you might not struggle with. Why don’t you trust God and pray for the impossible? If you want the impossible done, pray for the impossible. James 4:2 says that we have not, because we ask not. What is your particular impossibility? That struggle in life that you think you will never gain mastery of. I know what mine is. Actually, I have several. Sometimes, I think I’ll never learn. Sometimes, I think I’m an impossible case. But I’ve learned a lesson here from Paul. He prays for the impossible. I can pray for the impossible in my life too. But what is your particular impossibility? What is it? What aspect of your life do you think is an impossible situation? Now that you are imagining the problem, look at the final two verses of chapter 3. This is the doxology, or the closing thought, of Paul’s prayer. Before we read it, get that impossible situation into your mind…Have you got it? Paul has shared his three impossible requests – you have yours, now…verse 20. Ephesians 3:20-21. Now to Him who is able to do exceedingly abundantly above all that we ask or think, according to the power that works in us, to Him be glory in the church by Christ Jesus to all generations, forever and ever. Amen. Paul has prayed for three seemingly impossible things. To do what we cannot do. To know what we cannot know. To be filled with what we cannot be filled. But Paul remembered what Jesus told His disciples – with man, it is impossible, but with God, all things are possible (Matt 19:26). So Paul says in Ephesians 3:20, “You think I’ve asked for impossible things? I haven’t even scratched the surface of what God is able to do.” He is – v. 20 – able to do exceedingly abundantly more. That phrase exceedingly abundantly comes from one Greek word, which is a double compound adverb. A double compound adverb is a very rare construction. This particular construction begins with a root word. The root word here is perissos. It means abundant, over and above, more than enough. 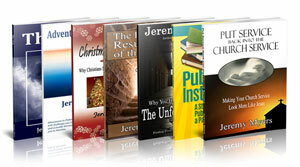 In John 10:10, Jesus says that he came so that we might have life, and have it perissov – more abundantly. But then, Paul takes this word, perissos, which already means abundance, and adds not one,…but two words on top of it to make it a double compound adverb. We can have these in English too. Take the word hero, for example. There are hero’s, and then there are superheroes. That’s a compound word. Two words making one word. But imagine if you added a third word as well – it is not enough just to be a superhero, you could make it a megasuperhero. That’s a double compound adverb, and that is what Paul is using here when he says exceedingly abundantly. He has had three prayer requests for the impossible, and then says God can not only do it, he can double do it – he can triple do it. He can run circles around it. He can do it with his eyes closed, and one hand tied behind his back. He can do exceedingly abundantly above all. If that’s not enough, look at the rest of verse 20. He can do above all that we ask or think! Paul says, God can do this and more. He says, if I can ask it, God can do it. If I can think it – or imagine it – God can do that too. In fact, God can do things I can’t even imagine! God can do things I can’t even think about! Are you still thinking of that impossible situation? Think of it and read verse 20 with it in mind. Now to him who is able to do exceedingly abundantly above all that we ask or think… Take that impossible situation of yours and ask God for a solution. You don’t have to be able to say, “God, here’s how this could work out.” All you have to do is say, “God, here it is. I don’t see a way out. It’s yours.” Ask God for the impossible. You don’t even have to be able to imagine a solution to your impossible situation – God can do more than all that you ask or imagine. How does God do all of this? Well, in verse 20, it’s according to that power again. That dunamis. And look at the last two words of verse 20. God does the impossible, and He does more than we can ask or imagine, according to the power, the dunamis which is in us. There are no words to describe this. Power that created the universe. Power that can do the impossible. Power that can do more than we can imagine. That power is in us. For our use. To do what we cannot do. To know what we cannot know. To be filled with what we cannot be filled. Ephesians 3:21. …to Him be glory in the church by Christ Jesus to all generations, forever and ever. Amen. It is obvious that as God does the impossible for us in response to our prayers to Him, He will be glorified in the church, and stories of what God has done will last for all generations. Take the story of Hannah in the book of 1 Samuel. She was barren – unable to have children, and she prayed to God, and God heard her prayer, and He opened her womb and within one year, she gave birth to Samuel. Consider the account of Elijah in 1 Kings 18. He held a contest between God in Heaven and the false god Baal. Elijah and the prophets of Baal built altars and each called on their own God to light the fire. God answered Elijah’s prayer and rained down fire from heaven. In response to Joshua’s prayer, God halted the sun in the sky for a full day. In response to prayer, Peter was set free from prison. The Bible is one long account of how God acts on behalf of those who pray in faith. He then writes, “When I was asking the petition, I was fully aware what I was doing. I was asking for something which I had no natural prospect of obtaining, but which was not too much for the Lord to grant.” By the time George Mueller died, the Orphan House founded and funded by prayer was able to house 1000 children at a time! I have prayed impossible prayers before. One time, I prayed a man free from prison. He was headed for prison, but I knew that prison was not what God wanted for him. From a judicial point of view, prison is probably where he belonged. But under mercy and grace, prison was not at all where he belonged. So I prayed for him. 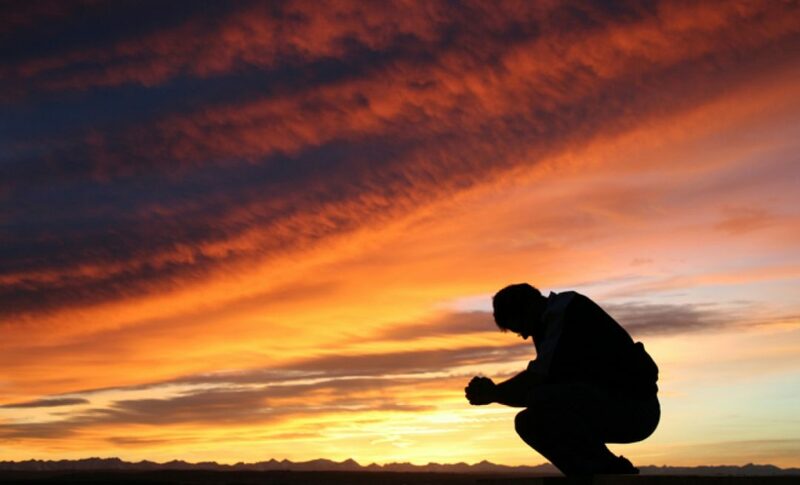 I prayed more fervently than I have ever prayed for anything else in my life. I remember going with him the night before the trial down the lake. It was March. The ice had just come off the lake. He sat there on the shore, staring at the mountains thinking he would never see them again. He went swimming in the ice cold water, thinking he would never feel lake water on his skin again. The next day, he received a “not guilty” verdict. Why? I am convinced it was because of one thing – prayer. Praying for the impossible. The man is married now and is serving God with all his strength and mind. Does God answer prayers for the impossible? Of course He does. He is able to do exceedingly abundantly above all that we ask or imagine. If you want the impossible done in your life, pray for the impossible. Then let God work. Your bringing the promise that God is able in v20 in context with Paul’s whole prayer for the Ephesians really made my day. Hopefully, I will be truer to the Text as I share it with my people tomorrow. I have attempted, (all day I might add) to simply put together a message “God is Able.” It is one of my favorite expressions in the Bible. I consistently tell my people to look at the context. My hypocrisy seems to have no limits as I ignored the context until I read your notes. Thanks for sharing your thoughts on Ephesians 3. You did good!